NON SURGICAL FACELIFT BY BRINGING BACK UP CHEEKS AND JOWLS tissues, where they were when you were younger. Lower face with hanging jowls and double chin is a tricky and difficult to correct area. To better address the area, your experienced cosmetic doctor will assess your individual situation. Commonly the excess tissues in the lower face are due to drooping down from the upper face. So, lifting them back up, to the cheeks and temple area (where they naturally came from) would improve the lower face itself. Another option would be to consider fat-dissolving injections, which release weight of fat, pulling down face. By removing what is pulling down and not touching of what is pulling up, we are shifting face balance up and providing lift. Also, after fat dissolving injections, there is less weight for threads to lift and therefore lifting effect is more significant (which everyone is happy with). Lower face areas most commonly treated are jawline and double chin, when cosmetic doctor is using threads under local anesthetic to straighten jawline and lift up the hanging skin under the chin. Although effect is usually can be seen nicely, but the the procedure is not as effective as surgical lift. Thread lift is as effective as it can gets for non surgical procedures and much safer than surgery. 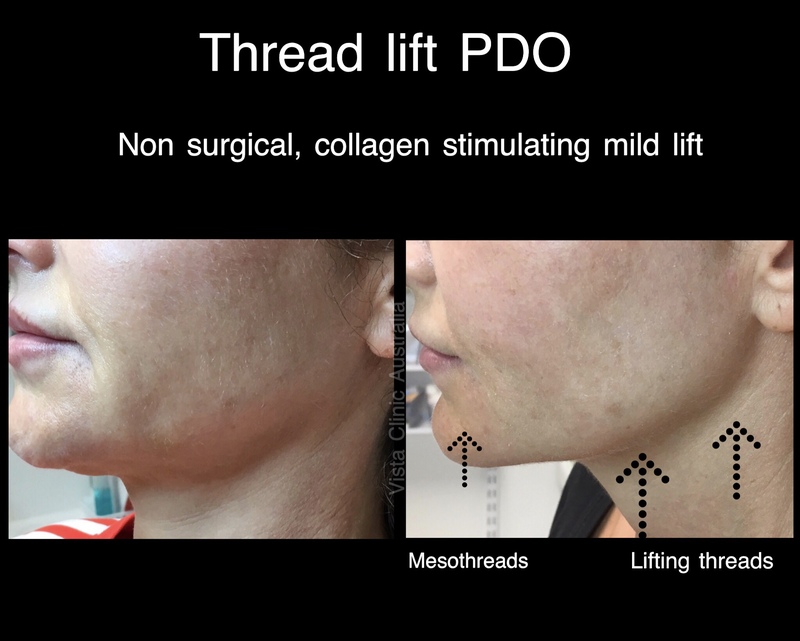 PDO threads provide natural moderate degree of lift of the sagging skin and stimulate collagen, which adds to lift up effect. 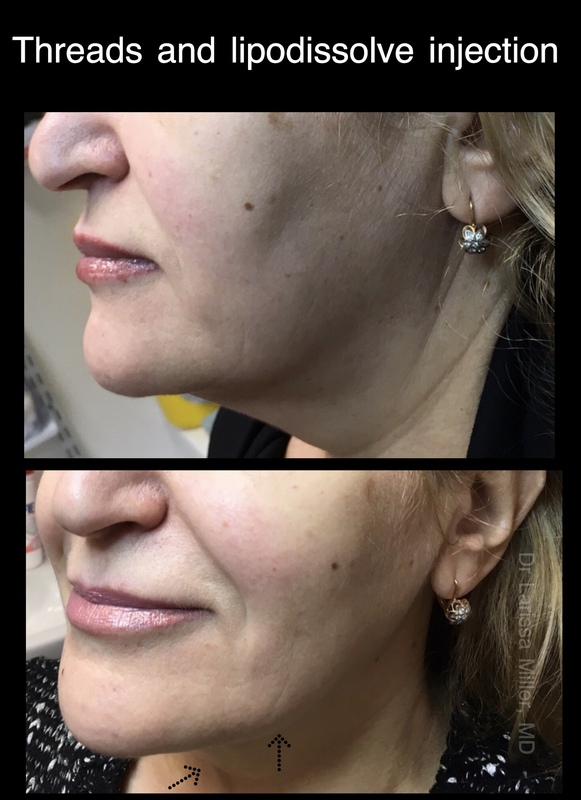 Most thread lift today is non invasive, no cuts or scalpels used, only needles and cannulas (similar to your filler procedure, but way more lifting effect on the face). Also, insertion techniques help to eliminate side effects. Are threads for face safe cosmetic treatment? Modern threads are very different from previous generations of threads in terms of safety and efficiency. 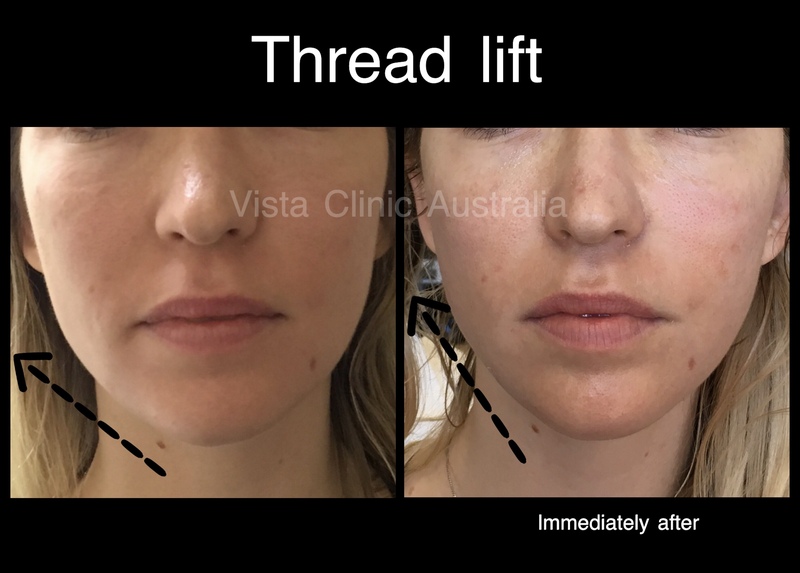 At VISTA Clinic Australia Melbourne cosmetic clinic, we do not use permanent threads, which caused problems in the past decades (like famous golden or silk threads). Most common side effects are mild swelling and local soreness, lasting 3-5 days; bruising; rare infections, but our comsetic doctors at Melbourne clinic are very careful and religious with aseptic and antiseptic to ensure safety of our cosmetic patients. We have number of SOPs to prevent complications and go way beyond minimum standards in minimizing infections at VISTA Clinic Australia. VISTA Clinic Australia Melbourne Cosmetic Clinic experienced doctor will discuss with you in details the PDO threadlift procedure, pros and cons, available facelift alternatives, costs and you will have enough opportunity to ask questions. Cosmetic physicians at VISTA Clinic Australia Melbourne do not accept patients under 18 years old (except for acne). What are types of threads? NON BARBED or mono – smooth, fine structure threads. Ideal of skin tightening. BARBED threads had small barbs or cogs on the thread, which allows to stimulate more collagen and fix up the lift. Ideal for face lift. 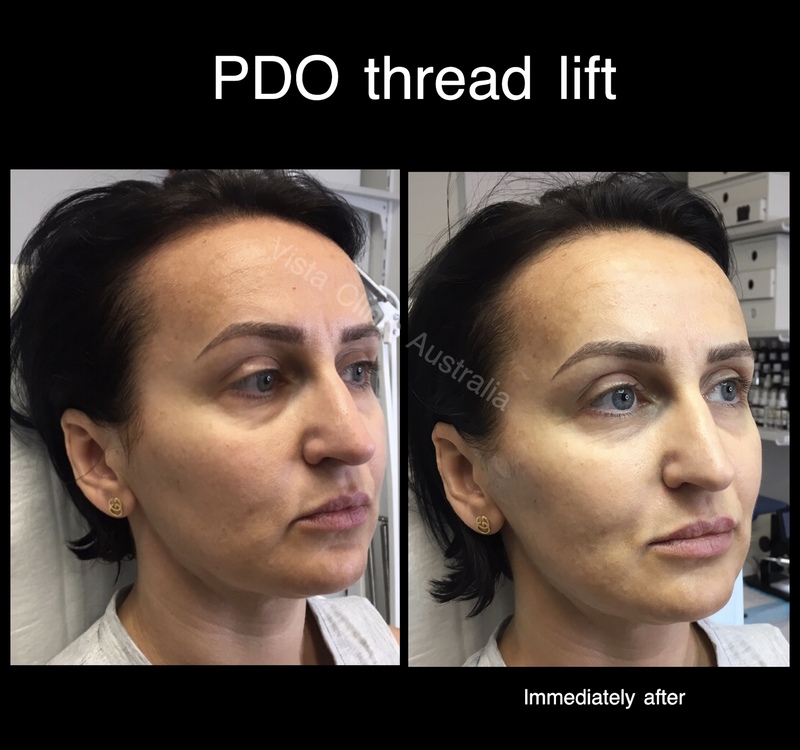 PDO (polydiaxanone) sutures or threads is a fast growing cosmetic technology for tightening and lifting of sagging skin in Melbourne and all over the world. Besides immediate facelift or skin tightness, patient will also enjoy collagen stimulation and boost of effect 2-4 months after the threads has been inserted. Most patients tolerate the procedure comfortably. For tightening threads, no anesthetic required and for lifting cog threads – either none either local pain relief. Feedback from our patients is usually that the procedure is less painful than they expected. If you prefer even more painless procedure, you can discuss it with our experienced cosmetic doctors in advance – there are plenty of other options available, but you need ensure that you don’t drive yourself after procedure and that you have no contraindications. What is effect of threads on face and skin? It is one of the most popular and fast growing areas as it is addressing lift of the face. As we age, under gravity and face bone reduction, the tissues of the face are drooping down, forming nasolabials, marionnette and smile lines. 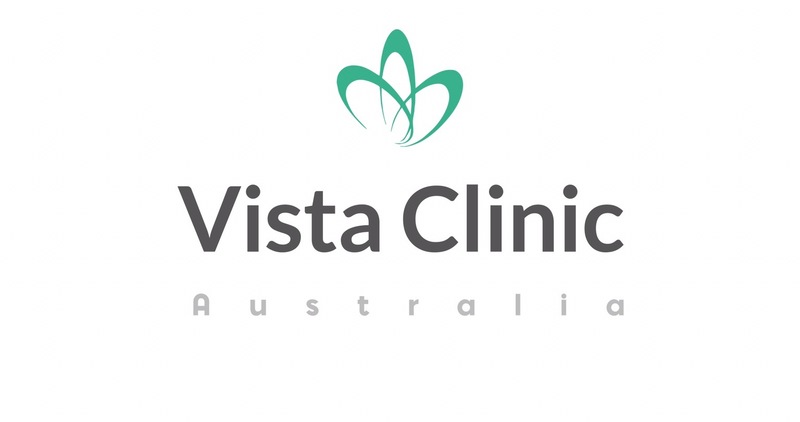 VISTA Clinic Australia philosophy is to respect anatomy and natural processes in the body. To avoid unnecessary anatomy disturbance and to achieve natural results, cosmetic doctor is following the same path of lift as it was the anatomical drop. We don’t change face, but returning tissues where it used to be when you were younger. Similar to how doctor stitch edges of the wound together by absorbable stichers, when the stitch is dossolved over time, but wound edges healed by attaching to each other. Your cosmetic doctor at VISTA Clinic Australia will lift up hanging fat and skin from nasolabials and jaw line up to the cheeks and temple areas and fix it with the thread there. The thread will self dissolve in a couple of months, but the lifted tissues will stay. Such technique also will add a little natural volume to your cheekbones by your own fat (which is a natural to your body as it can gets). However, the process of aging is still going on, therefore realistically the lifting effect usually lasts 1-1,5 years. Naturally, whatever would speed up aging process (alcohol, stress, certain medications, smoking, hormonal changes, genetic input, diseases, sun exposure etc), will lessen longevity of the thread lift. Pretty good incentive to follow up with doctors’ advice on healthy lifestyle, hey?